Be sure to log into your Kraft First Taste account today! 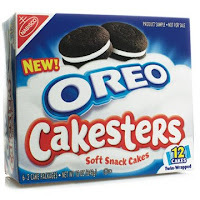 You will find a coupon for Oreo Cakesters!!! Some of you may get one for a free package and others of you might get a coupon for $1.00/1. I know that my thighs just grew thinking about these yummy treats! If you don’t belong to Kraft First Taste — go head and sign up today. That way, you can get in on the next great offer that comes around!